Put simply, your brand is a promise you make to your customer. Your brand tells customers who you are, who you want to be, and what they can expect from your products and/or service. Are your services expensive and serve a niche market? Ask yourself, is your service high quality at a high-cost, or, low-cost but high-value? You’re going to have to choose, because you can’t be both. Who you are should be based on what your target market wants, and who they need you to be. Learn the needs, habits and desires of your current and prospective customers. And don’t rely on what you think they think. Know what they think. Having a solid and consistent brand leads to strong brand equity (the intangible added value brought to your company’s products and/or services that makes it acceptable for your company to charge more for your products and/or services than what seemingly identical unbranded products charge). A great example of brand equity is high-end footwear designer Christian Louboutin. Louboutin launched his line of luxury, red-bottomed women’s shoes in France in 1991. The red-lacquered soles have differentiated Louboutin from other luxury shoe brands, and have influenced women all over the world into buying and wearing high-end shoes. People will pay more for the promise of luxury, quality, and the red-bottomed recognition that comes with wearing Louboutins. Bottom line: the more recognized your brand is, the more real estate you take up in your consumers’ minds, and the more power you have to persuade your target market to buy your brand. Trying to define your brand is like a journey of corporate self-discovery. It can be time-consuming, difficult and at times uncomfortable – but in the end, it’s worth it! 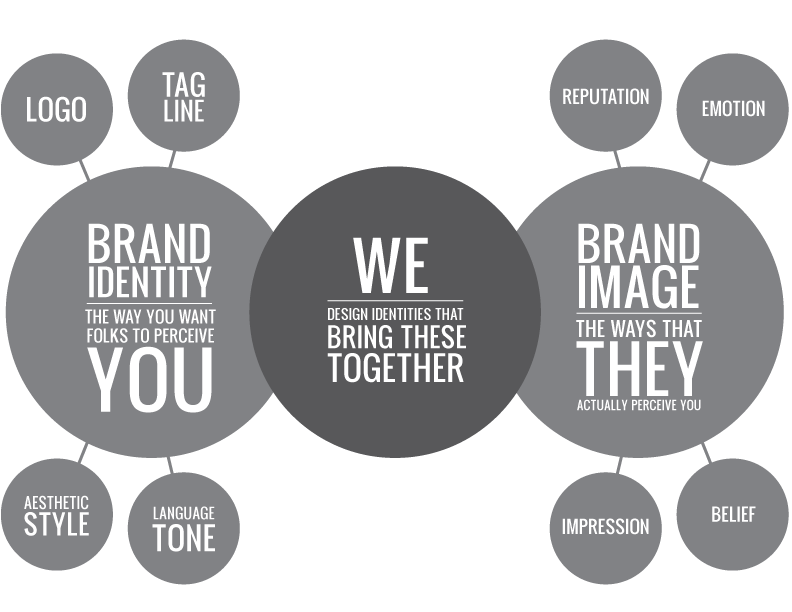 Is your brand defined? Do you have a strong brand strategy in place? Do you understand the needs, habits and desires of your current and prospective customers? Do you rely on what you THINK they know rather than KNOWING what they know? Comment and share your branding successes and failures with me. If you are looking to define your brand and/or develop a brand strategy, please feel free to contact me at 416-653-3053, or info@creativeworksmarketing.ca.